Red, delicious, and cool to the core, Apple loves to relax outdoors—chill on the snowy mountain, get some sun on the beach, kick back in the meadow. But every time Apple settles in to enjoy his latest leisurely lark, Nimbus rains down and upends Apple’s carefree day. 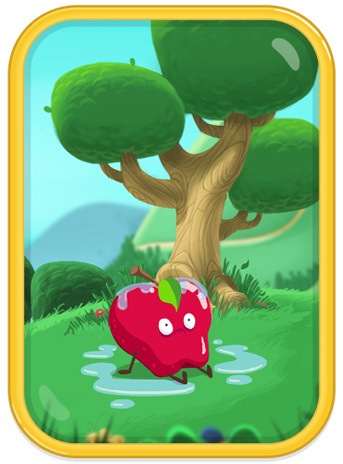 The unlucky fruit always seems to be in the wrong place at the wrong time, and it drives him CRAZY! All he wants is to enjoy a sunny day in Sunnyland. Is that too much to ask?